There’s just something about snow that’s fun. Whether you’re having a snowball fight, building a snowman, or snowshoeing, if you aren’t outside this winter, you’re missing out! 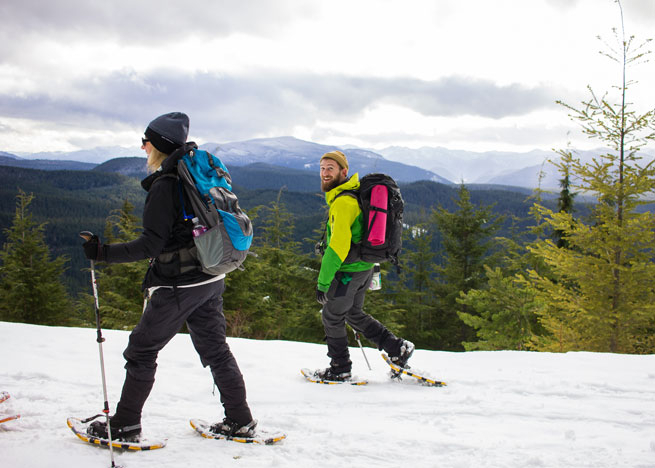 Snowshoeing is a great way to explore the beautiful snow-covered landscapes of the Mt. Hood National Forest. And it’s easy! If you can walk, you can snowshoe. Let Next Adventure help you enjoy your time outside by providing the transportation, gear rental, and instruction from an experienced guide. For more details and information visit Outdoor School Snowshoe Day Tour. For a full list of classes and tours visit the Next Adventure Outdoor School.